The field of digital marketing is one that has emerged as a game changer in the arena of marketing. Today, it is not possible to project a product or service without being visible on social media platforms and without a proper website positioned at the top of the search engine options for that niche. This has triggered the creation of various kinds of jobs that bring on a pool of skill and knowledge that is best suited for this area. This has also given rise to various kinds of earning opportunities, the world over. 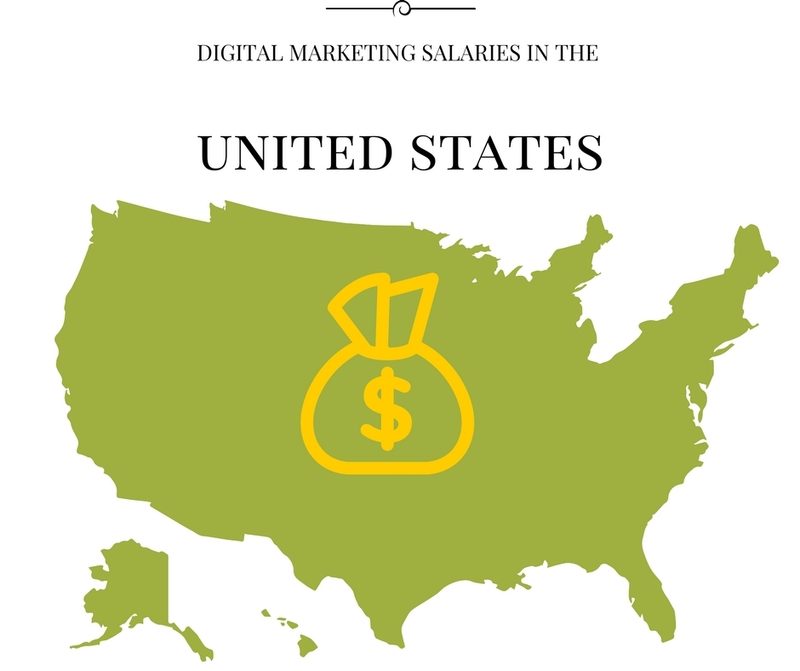 Here are the salary trends for digital marketing jobs in USA. Digital Marketing Strategist: The digital marketing strategist is a person who combines the aspect of marketing the specific needs for efficient engagement on websites, landing pages, and social media platforms. This person will usually have in depth knowledge of such platforms and will be able to study the analytics sea s to apply the right tools at the right time so as to generate proper engagement. 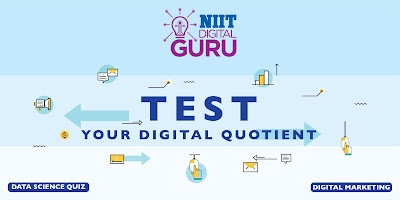 This professional will usually have all the correct certifications when it comes to social media, inbound marketing, Google, DMI frameworks and other such arenas. The salary earned by this person could be an average of 75,000 USD to 80,000 USD per year. Additionally, this individual could also earn an hourly rate of 50 USD to 60 USD. Senior Marketing Manager: These individuals also have a large experience base that includes offline marketing. Such individuals will also have digital marketing certifications for various platforms and functions, w which will help them plan wholesome campaigns with coordination between various online and offline platforms as well as individuals. The professionals will generally take home a salary of at least 100,000 USD per annum. Digital Marketing Consultant: Additionally, such professionals like the digital marketing strategist could choose to operate as consultants who handle many clients and brands at the same time. These professionals would earn the same amount as specified above for at least 3 to 4 clients. As the client base and numbers grow, they would have to bring in a team of professionals like graphic designers, writers and other related professionals so that they can handle the gamut of activities in a seamless manner. Website and Graphics Professional: These are professionals have a more technical base and hence their salary will be slightly more. The website designers who also have experience when it comes to graphics, design, E Commerce website design and management will bring home at least 120,000 to 150,000 USD depending on the range of skill and experience. Other Professionals: Writers and other professionals in this field can earn anything from 1 USD to 4 USD per word, depending on the bulk and exclusivity of the posts and articles. The bulk work will bring in a smaller per word rate, while more exclusive and researched based work will be able to demand a greater per word rate. Also, the writers will have to ensure that the copy is proof read, well researched and keyword rich. 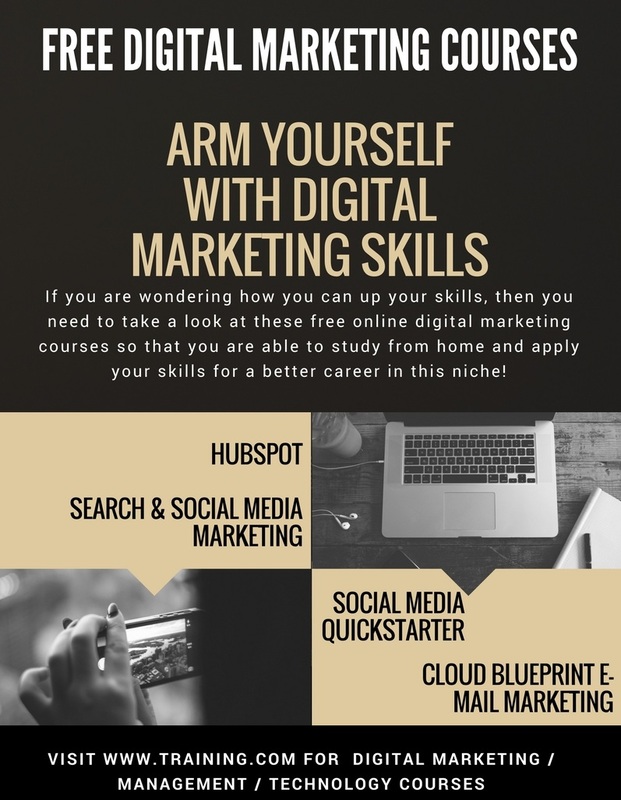 In order to become a well known professional in the world of digital marketing, it is important to arm yourself with the skills and know-how so that you can build a stable body of experience which will lure in further business or a good prospective employer in this field. 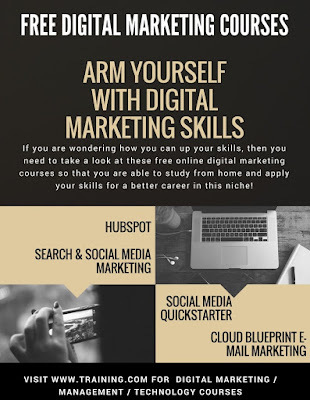 If you are wondering how you can up your skills, then you need to take a look at these free online digital marketing courses so that you are able to study from home and apply your skills for a better career in this niche! Hub Spot Inbound Training Program: This is a training program that will help you in understanding the basics of engagement and traffic generation. With the help of this free online course, you will be able to understand how you can create engaging content and market the same effectively to not only get clicks but also precious conversion so that you can build the basis for business goals achievement. This certification is also one of the most recognized on many global forums and will help you in early getting employment as well. Social Media Quickstarter: If social media is what interests you, then you can do this course in order to understand how you can chart a winning digital marketing strategy over a variety of social media channels like Facebook, Twitter, YouTube and much more. With the help of insights on each of these platforms, you will be able to understand what goes into crafting a social media story that will help in building an audience and converting them into your ideal audience. This course will also help you in understanding the various social media trends and resources so that you are able to make good use of the same. - Search and Social Media Marketing for International Business: This is a course that will help you combine a proper strategy for search engine optimization or SEO and social media marketing as well. With both these tools, you will be able to up your skill level in both the niches so that you can create strategies that are effective in catching the attention of your audience and in creating a good follower base as well. It will also help in understanding many basics like monitoring, analyzing and reporting the social media and search engine performance of websites, blogs, and social media pages. This course is being offered by the University of Salford in Manchester, England. - Cloud Blue Print E-Mail Marketing Course: This is a course that will help you tap into the lucrative field of email marketing so that you can create and send out emails that people will sit up and take notice of. Besides generating a database of emails, this course will also show you how to create the best content for such emails and how to market them using various platforms that are used for email marketings, so that you can reach the inbox of your follower and convert him or her into a customer. Nowadays, employers have begun to understand and appreciate what a solid digital marketing strategy can achieve and how it can really add value to the company or business. In various instances, they have started to integrate digital marketing skills into their core marketing function. So what are we to expect when a company decides to hire a digital marketer in the near future? Let's have a look at what we've seen throughout 2016 and based on what clients are telling us, the five key specialists we expect to see in demand in digital marketing this year. months show that they need to be as competent as a digital stickler and boast the same set of technical skills, and at the same time be able to balance that with their expertise in traditional marketing mix. Employers expect a wealth of experience in digital marketing, someone who is able to either create or drive their organization’s digital strategy. Specialists in digital communications, brand and content will be most sought-after. 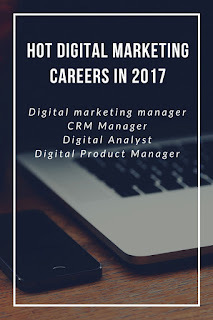 This year, it can be expected that digital marketing positions will be filled based on knowledge about Customer Experience (CX) – which is a common key element across the vast majority of digital marketing roles. Employers wish to get the most value out of their digital marketing functions, and employees with these skills are considered particularly valuable in such organizations whose markets are not sales-driven. Due to the big push from clients wanting digital marketers with skills across the digital mix and the ability to drive revenue through customer acquisition online, CRM managers are the next big posts to fill in. They should also be capable of handling retention acquisition and retention digital activities, and even ROI monitoring tasks. Ever since the increase of reliance on digital channels for campaigns, it's expected that the demand for digital analysts will be on the rise. The budgets are expected to increase in online spend, businessmen will endeavor to understand who they are targeting, marketers will monitor how campaigns are performing, researchers will evaluate user experience as well as customer activities on their websites and stakeholders will have the ability to make relevant and good decisions based on their findings. The demand for these professionals is rising due to the influx of digital products and online content consumption. They oversee the process of bringing new online products to the market, from inception to launch, including managing marketing campaigns. These managers also use market data and act as a mediator between the consumers and technical teams. They translate consumer needs into new product features for the technical teams to design. 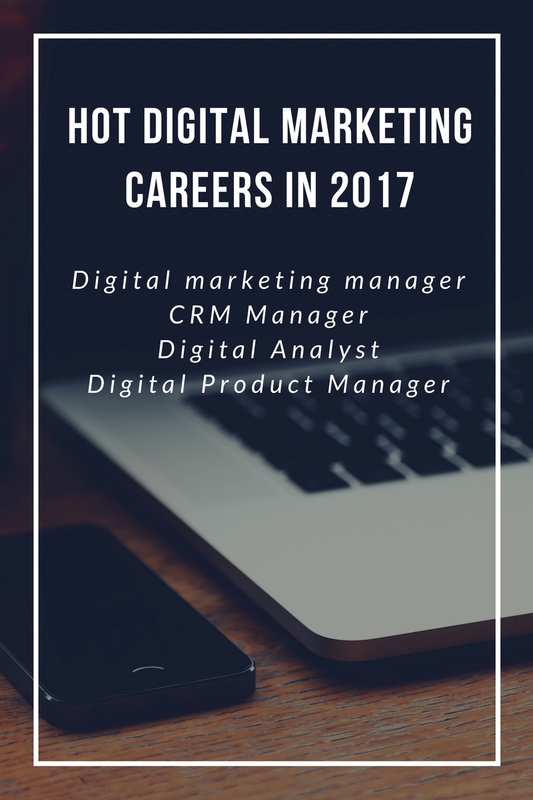 With a lot of diversity in roles within the digital marketing mix and significant investment in hiring in this space, there is going to be a battle for the best talent in 2017. 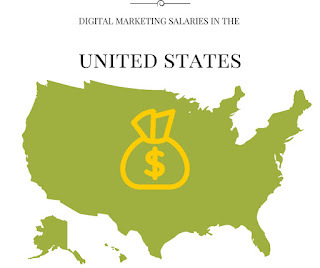 How Much Can You Earn In The Digital Marketing World? The digital marketing industry is an upcoming one that has already generated great benefits for various brands. Yet, this is not the only thing that has been generated by this industry. Myriad employment opportunities have beeb set forth by this industry and it is set to become one of the most highly paid among various other niches when it comes to technology and automation. From creative skilled people to those with technical skills, there is room for various types of professionals in this field. 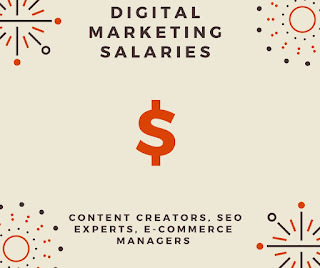 Here are the specifics of how much you can earn in the digital marketing industry. - Content Creators: These are some of the most important people in the digital marketing industry. Content writers and bloggers can earn anywhere from $45,000 USD to $70,000 USD a year with an experience of one to five years. For those who have more experience than that, a salary of over $85,000 USD per annum can be expected. These content creators will be in charge of the overall vision of the digital marketing campaign or strategy and will be expected to create content accordingly in tandem with graphic designers and SEO specialists who will supply the correct keywords to be inserted into the content. - SEO Experts: SEO translates to Search Engine Optimization. All the activities in this niche help in bringing the page ranking up in search engines like Google. These SEO experts will be in charge of spearheading a gamut of activities starting from keyword regeneration to analytics and the use of Google tools like Ad Words and more, so that the page becomes more visible and the brand gains a good foothold when it comes to its niche audience. Most SEO experts can expect salaries between $52,000 to $72,000 USD per annum, if they have been one to three years of experience. Those with more years of experience can look forward to salaries that are upwards of $90,000 USD. This will also depend on the number of certifications that the SEO expert has, like Google Ad Words certifications and more, which can be obtained with the help of an examination conducted online. - E Commerce Manager: As the marketing manager for an E Commerce retail online store, your job would be more administrative even as you flex your creative muscles for better positioning of the products and services being pitched on the website. For people who also have a degree in management as well as certifications when it comes to SEO activities and others, it would be easy to earn an annual salary of $85,000 USD to $120,000 USD. This could increase with the number of certifications that one has when it comes to management. 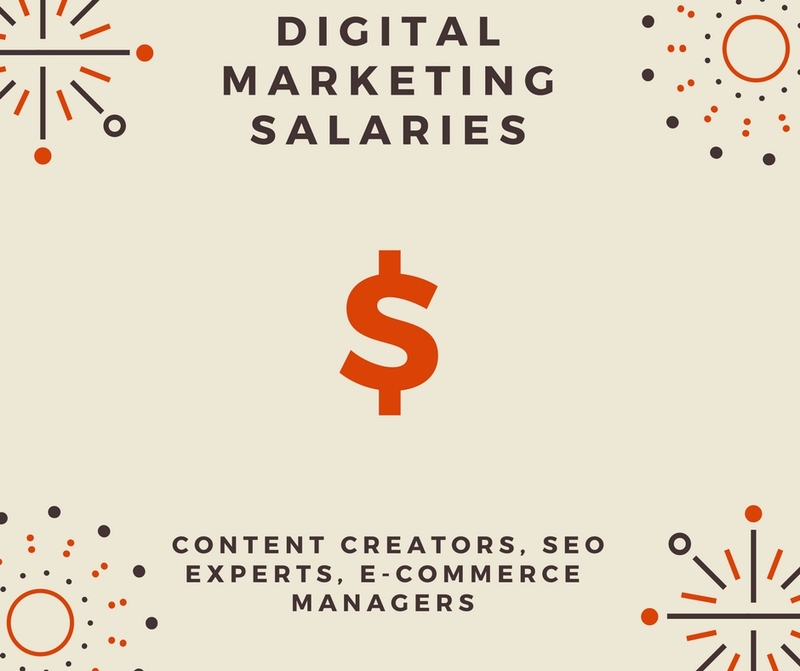 Other Countries: Since digital marketing is a global industry, the salaries are more or less the same when converted in other countries. The candidates would also have to have plenty of experience and insight when it comes to global requirements so that they can read the parameters for campaigns and content in a more global content. Digital marketing is no more just a fast emerging marketing arena. It is now the top arena that marketers cannot ignore. Marketing and promoting a brand and its products or services is matter of balancing the interactive platforms with the help of different types of content that can drive engagement effectively. Digital marketing certifications are growing in a major way, given these new found marketing realities. There are a number of courses that one can do in order to excel some or the other kind of platform that comes with the complex of social media marketing and search engine optimization activities. Take a look at these top certifications in digital marketing to know more! - Mobile Marketing Techniques: This is one certification that is entirely future ready. This is due to the constant and steady evolution of the smart phone which can accommodate a number of life activities on your palm. From buying groceries to making bill payments and even shopping and calling up information, there are a number of activities that we now carry out on our phone. Mobile marketing is now a real and thriving aspect of social media marketing. Websites are being made in a responsive manner so that they are optimized for such gadgets even as app creation and related tasks are covered by a certification in this area. - Technology Certifications for Inbound Marketing: Digital marketing also depends on inbound techniques which include platforms like Hub Spot. These techniques help in drawing people from the social media pages like Facebook and LinkedIn on to the landing pages of these brands. These certifications will give the marketer the added edge of professional and technical skills and knowledge which may be applied to a wholesome start to finish campaign to draw the user in and convert him or her into a customer. - Organization Wise Strategy for Digital Transformation: Digital marketing is also about dipping into your precious resources offline. This includes organizing these resources within your organization in a way that will make for a seamless digital transformation so that your marketing comes to function in a set digital manner. This will also help in creating a good digital base for all the campaigns related to the branding and selling tasks. In turn, this will create growth and stability for the brand. - Content Certifications: This certification is one on which everything else is hinged. Content is the defining factor of all your digital marketing efforts. It is with this aspect that you catch the attention of your audience to start with. New insights show that it is imperative to get digital marketing started on the basis of good and interactive content which will engage and answer the audience when it comes to their problem areas. This is the start point of any kind of interest that one may show in a brand. - DMI Certifications: This is a framework within which one can manage and track the various elements required for publishing, planning and promoting campaigns. This is also essential in the emerging B2B market that is being heavily promoted by digital marketing. Being a hands on marketer is all about constantly and consistently engaging your audience so as to interest them with new information and gain a possible conversion in the process. The digital marketing field is now a reality for each and every marketer worth his or her salt. It has now become imperative to pitch a sizable amount of spend towards this area, with many brands even cutting down on their offline marketing spend. One of the most lucrative things about digital marketing is the fact that one does not need to open the copious amounts of money that one usually does for offline marketing. In fact, there are a number of free tools that one can use. So here are the 10 free online digital marketing tools that every hands on marketer will need! Take a look to know more! - Hoot Suite: This is one of the best platforms on which you can actually go ahead and manage the bulk of your social media updates by sequencing and lining them up for auto publishing. - Tweetdeck: This tool does pretty much what the above tool does. Yet, it is a tool that is to be used specifically for Twitter. So if you do not have the time for dally Tweets and updates for your follower base, then you can line up the tweets to be auto published at a set time of the time. - Klout: This a tool that will help you in finding influencers so that you can get your blog or brand on the map thanks to the follower base that these bloggers enjoy. - LinkedIn Sector Skills: This is another tool that will help you in finding the business influencers whom you can use in order to grow your business. - Google Webmaster Tools Integration: This tool helps you in understanding the analytics of your website as well as others in your niche by bringing together a framework that houses various tools under one umbrella. - Google Keyword Planner: This tool is one of the most important tools that one must use in order to generate keywords that will fit one’s website and niche so that the page ranking on the search engine rises. - Keyword Tool: This is another tool that helps in conducting an analysis of the keywords that you may have chosen as the broad words and phrases that define your niche. - Similar Web: This is a tool which helps you in studying competitor websites in the same niche so that you can compare and analyze your own efforts and resources for better performance. - Marketing Grader: This tool helps in understanding the on page mark up SEO tactics and parameters that apply to your website and niche so that you can build on the same and build some link juice and back links for your website. - Google Analytics Hub: This is a must have tool for all the digital marketers so that one can get the analytics that pertain to one’s website for better SEO efforts.